 The Maxibright Lighting system comprises of a Maxibright 315Watt Ballast, Philips 315W CDM Lamp and a Ceramic Bulb Holder. The Maxibright 315W Ballast is a lightweight, lower energy, compact, silent running choice of ballast. Although the 315 Watt ballast has less output it still has all the same features of the digilight range and will not minimise or reduce plant success.The Maxibright digilight features include:- Short circuit protection, Soft start technologyy, end of lamp life detection, auto reset and thermal protection. The Maxibright 315W Ballast offers the more affordable running option whilst achieving the same results. 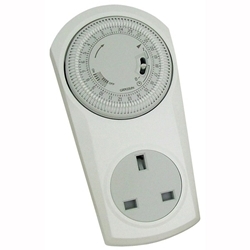 As well as a 315W ballast, this lighting system also includes the compatible CDM Philips Lamp. 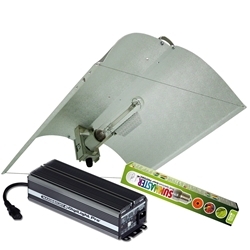 There are Two HID lamps available to complete the plants life cycle these are:- The Daylight Lamp for the Grow Stage and the Agro Lamp for the flowering stage (Sold Seperately). These lamps require the Ceramic Lamp Holder included. 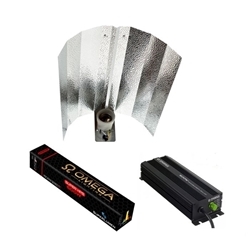 This system is suitable for use with any reflector that has a E40 Lamp fitting. 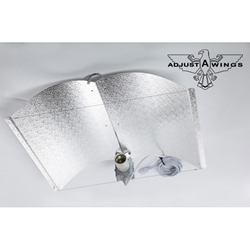 This lighting system is comprised of the Adjust-a-wing Enforcer reflector which is proven to improve light and heat distribution.